Universal Pictures latest comedy, Little is now playing in theaters. Be sure to head over to my YouTube channel to check out my thoughts on the film. Little hits theaters this Friday, April 12th. Have you seen Little? Be sure to share your thoughts on the film in the comment section below! Definitely was a kids movies but nonetheless funny. I enjoyed. Great review. I enjoyed this movie! Cute and funny! 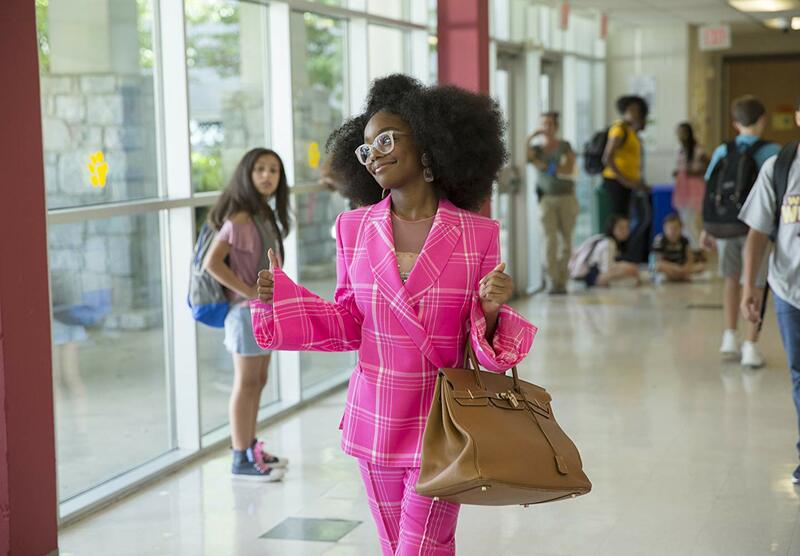 Proud of Marsai Martin, she’s making History! I really enjoyed this movie! It has some solid laugh out loud moments. My only real criticism is some of adult Jordan rants/tantrums were over the top. I really want to watch this movie and I’m glad you gave me insight on the message of bullying. This is going to be a great movie to watch with the kiddos! Thanks for the review… I love Regina too! This was such a good movie! It was hilarious to me! I enjoyed this movie as well. It’s a great film for the entire family. I really enjoyed this film. Cute and funny. I thought this movie was really funny. It lost some steam towards the end, but I really enjoyed the movie. Definitely recommend it.